A large sinuous valley, resembling a dry river-bed with numerous meanders. 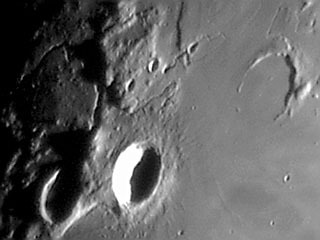 It starts in the crater to the west of Aristarchus, then widens to 10 km, several times changes direction, then narrows down and finally, at a distance of about 160 km from its origin, it disappears. The floor of the valley is flat and a very narrow sinuous rille, which is not visible from the Earth, zigzags along it.